Description: Kelly Murphy’s life as a tulip farmer is pretty routine—up at dawn, off to work, lather, rinse, repeat. But everything changes one sun-washed summer with two dramatic homecomings: Griffith Burnett—Tulpen Crossing’s prodigal son, who’s set his sights on Kelly—and Olivia, her beautiful, wayward and, as far as Kelly is concerned, unwelcome sister. Tempted by Griffith, annoyed by Olivia, Kelly is overwhelmed by the secrets that were so easy to keep when she was alone. 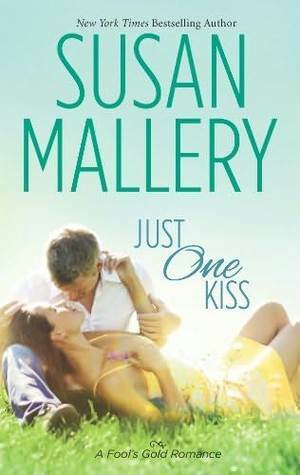 My take: Susan Mallery’s newest contemporary romance is a stand-alone novel about the relationships of two sisters, one best friend, and the men in their lives. And they all carry big secrets that threaten to change their relationships when revealed or discovered. Told in her usual entertaining and heartfelt style, Mallery’s story pulled me in with the lovely small-town Washington state setting and the intriguing dynamics of all characters involved. Could they survive when times get messy? You’ll have to read to find out. I enjoyed this novel about learning to trust oneself and the important people in one’s life. It’s a breezy read – perfect for the beach, poolside or anywhere you care to spend a few relaxing hours. #1 New York Times bestselling author Susan Mallery has entertained millions of readers with her witty and emotional stories about women. Publishers Weekly calls Susan’s prose “luscious and provocative,” and Booklist says, “Novels don’t get much better than Mallery’s expert blend of emotional nuance, humor, and superb storytelling.” Susan lives in Seattle with her husband and her tiny but intrepid toy poodle. Synopsis: In Glory, Kansas, a fairy-tale wedding has local tongues wagging. But through this false engagement, can a wounded warrior and the woman he’s protecting find true love? Byron Hawkins doesn’t want to be responsible for anyone ever again. The former Black Ops soldier is better at taking lives than saving them. But on a mission in Tunisia to deliver a package to safety, Byron is dismayed to find that the precious cargo is actually a hostage rescue, and that his orders are to take Damara Petrakis back to U.S. soil and hide her in plain sight—as his newlywed wife. 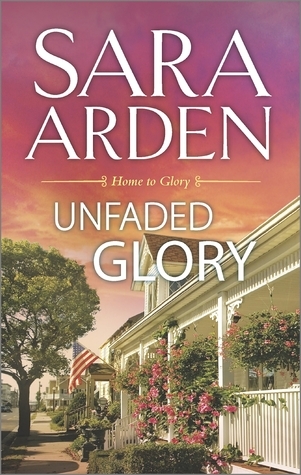 My brief take: Unfaded Glory started off at breakneck speed and kept up the pace for much of the book. The synopsis tells you what you need to know. I thought Sara Arden did a terrific job with conveying Byron’s internal struggle to go on living when the rest of his special forces team didn’t. Little did he know that Damara would be able to make him want to live – and by doing so, he would save her. Unfaded Glory is a story about love, trust and courage. Recommended to fans of the series and Sara Arden. 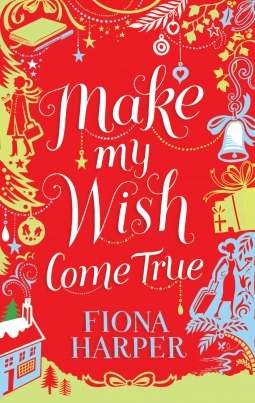 Nothing short of a miracle can restore Eliza Hayward’s Christmas cheer. The job she pinned her dreams on has gone up in smoke—literally—and now she’s stuck in an unfamiliar, if breathtaking, small town. Precariously close to being destitute, Eliza needs a hero, but she’s not expecting one who almost runs her down with his car! 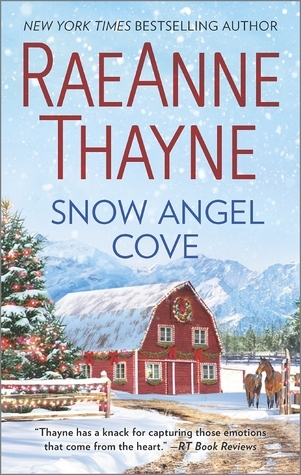 My take: RaeAnne Thayne begins her new series in the small Idaho town of Haven Point. She features a familiar character (Aidan Caine) from her Hope’s Crossing series. Aidan hasn’t had the best luck recently but no one would know because he keeps his private life private. That changes when he literally runs into Eliza Hayward in Haven Point. Eliza would say her luck has been worse than Aidan’s. I thought it was a toss-up. Thayne sets the series up in this novel. We meet many of the locals who I’m sure will be featured in future books. The town is not doing well since the closing of a factory – the largest employer of Haven Point citizens. The locals are upset and not trusting of Aidan (the new owner of many of the buildings in Haven Point). I’m sure this theme will be woven through the next books. I also think Aidan will make sure he does all he can to help the town. The Christmas theme is at the forefront as Eliza readies Aidan’s lodge for the arrival of his extended family for the holiday. Thayne’s descriptions were lovely and made for the perfect setting of a Christmas book. I liked Aidan and Eliza’s story but I thought it was a bit rushed near the end. 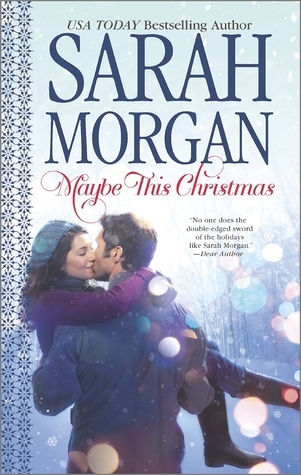 No matter, it was enjoyable and I recommend it to fans of the author and a nice Christmas romance. Synopsis: Family-oriented Juliet is a Christmas-dinner cook extraordinaire and is trying to keep it together in the wake of her marriage breakdown two Christmases ago, but the cracks are beginning to show. Her bright and vivacious sister Gemma was always the favorite daughter. Gemma has no qualms about escaping the festive madness and the pressures of her glamorous job by jetting off somewhere warm and leaving Christmas in Juliet’s capable hands. When Gemma shirks responsibility one too many times and announces she’s off to the Caribbean (again! ), Juliet finally snaps. Gemma offers her sister the perfect solutionto swap Christmases. She’ll stay home and cook the turkey (how hard can it be?) and Juliet can fly off into the sun and have a restorative break. In the midst of all the chaos, there’s Will, Juliet’s dishy neighbor who’s far too nice to float Gemma’s boat and may secretly harbor feelings for her sister; and Marco, the suave Italian in the villa next door who has his own ideas about the best way to help Juliet unwind. My take: I thoroughly enjoyed Make My Wish Come True. Fiona Harper’s story of two sisters, each thinking her perspective of their life growing up is singularly correct, will probably resonate with anyone who has a sibling. It certainly did with me! Yes, there are shades of the 2006 film The Holiday (it’s mentioned by name a time or two) but Make My Wish Come True is it’s own story. By swapping lives for two weeks the sisters are given a chance for some introspection and discovery about the other. This Christmas story made me laugh, tugged my heart, and even had me reaching for a tissue near the end. Really, what more can one ask for in a Christmas book? Highly recommended. Synopsis: This winter, ex-skiing champion, reformed heartbreaker and single dad Tyler O’Neil has only one mission—making sure his daughter, Jess, has the best Christmas ever. The fact that his best friend, Brenna, is also temporarily moving into his chalet at the overbooked Snow Crystal resort is a delicious distraction he’s simply going to have to ignore. Theirs is the one relationship he’s never ruined, and he’s not about to start now. My take: Sarah Morgan did a great job with the friends to lovers theme. That’s not always the case and usually I’m left wanting more from the story. She pulled it off though and I was sorry to turn the last page. I didn’t want to say goodbye to these people! I loved the give and take between Brenna and Tyler which was filled with so much familiarity, love and wit. It seemed everyone around them wanted to see the pair together but still they had to be thrown together under the pretense of a full house at the resort. Brenna had been living in one of the resort homes but it was needed for paying guests. The story took off from there and it’s an emotional story. It was fun to see characters from the two previous books – Kayla and Jackson, Elise and Sean. I didn’t expect the ending but I loved it. If you like contemporary romance with a Christmas theme you’ll want to read Maybe This Christmas. Synopsis: He won’t hesitate to put his life on the line…but will he ever risk his heart? Falling for Justice Garrett was a high point in Patience McGraw’s otherwise awkward adolescence. Even after he disappeared, Patience never forgot the boy who captured her heart. Now he’s back in Fool’s Gold, California, and her passion for him is as strong as ever. But how can she trust that he won’t abandon her again—and her daughter, too? My take: Patience and Justice knew each other when they were in high school. She had a huge crush on him and he thought she was a great person. One day Justice just disappeared. Patience went to his house on her way to school and the house was cleared out. Fast-forward to fifteen years later. Patience has a ten-year-old daughter and they live with her mother. Justice is back in Fool’s Gold to set up a “defense academy” with some of his former military friends. This is the first of a trilogy within the series that will involve Justice and his co-workers/friends. Justice’s past is an interesting story. It catches up to him in this book in a lot of drama near the end of the story. Things wrapped up neatly and I look forward to “seeing” these two in future books. 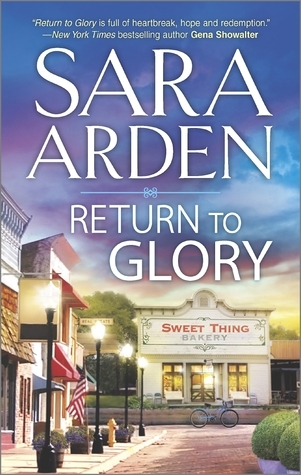 Synopsis: In Glory, Kansas, the best bakery in three counties not only brings together ingredients for sweet treats, but is the place where—through the powerful mix of friendship, community and a well-stocked kitchen—a wounded hero can forge a forever kind of love. Back in the hometown he left behind five years ago, Jack McConnell has returned battle-scarred and feeling like half a man. But Betsy Lewis only sees the hero who once saved her life and set her heart on fire. Now she’s burning to save him in return. She’ll use every trick she’s got up her sleeve, from her generous natural assets to her talent for baking, to coax Jack out from the bottom of his whiskey bottle. My take: Betsy has been in love with Jack, her brother’s best friend, since she was a young girl. When he comes home wounded from war she’s determined to make him well again using any means that will work. Jack is determined to make her see that he’s not the man for her. Sara Arden’s descriptions of the wounded warrior, Jack, seemed completely believable. I also bought into the way Betsy felt about him both when she thought they had a future and when she didn’t. The heartache was palpable. Their story is an emotional one that is further charged by their feelings for each other. Be prepared for some very spicy scenes! The town of Glory is intriguing. Arden hints at the occupations of a few former military that I can only imagine will figure into future books of the Home to Glory series. It’s a charming town where the citizens have each others’ back. I look forward to my next visit to Glory, Kansas. Recommended to fans of contemporary, small town Romance.